Nocturnal Souls is constantly in flux with new features and content. We aim to roll out new features and functionality once a week; however, scripts and new content can be rolled out as often as it’s created without downtime. Thanks to our testing and development team for all their hard work! The servers have been updated to the April 2019 version. All players will need to update their clients to match to avoid any potential mismatch errors. If you’re having trouble getting your version to update, close the PlayOnline Viewer and delete the file at \FINAL FANTASY XI\ROM\0\0.DAT. Relaunch PlayOnline Viewer and Check Files. Deleting this single DAT will force it to scan all of your files for changes. If you’re using any HD packages, XI Vision (maps), XI View (UI/fonts), or custom textures, be sure to have those backed up as they’ll be overwritten by the update. The server message (the purple popup on login) now includes the link and agreement that players have read, understand, and will follow the server guidelines located here. Ignorance or “I didn’t know there were rules!” is no longer an excuse for activities that are prohibited on Nocturnal Souls. If these rules do not meet the gaming experience you are looking for then Nocturnal Souls may not be the community for you. (hotfix, 19 Apr) Spring Hoppers can no longer be dragged around by players. (hotfix, 19 Apr) Spring Hoppers now check their health more often and reward eggs at more frequent health increments. Spring Hoppers now have new mechanics to greatly discourage players from engaging then AFKing. 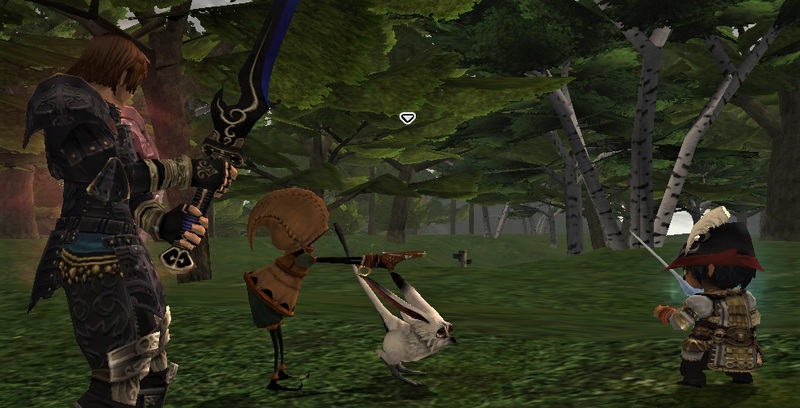 The rabbits are not meant to sit and mindlessly AFK attacked. Players MUST decrement their health by percentages in order to trigger their egg drops. Fighting a bunny too long could result in something tragic happening–like it stealing all of your eggs and running away. Spring Hoppers will no longer drop eggs to players who are too far away. Spring Hoppers will repsawn faster, to a point, based on how fast they were killed. New known and unknown words have been added to the possible lettered egg turn-in rewards. Thanks to the hard work of Webjester and his recent PR into DSP, hand-to-hand weapons now all have their proper damage values. Players can see the full details here. In addition to this, the TP formula calculation for H2H combat has been adjusted to properly match retail (basically including the hit ratio in the calculation). Overall, this should be a slight increase in TP per hit by players. Several guild shops that have been notoriously broken in DSP have been fixed. These shop inventories have been adjusted to better match the requirements of the Nocturnal Souls community. Many items that were added to the crafting NPCs in !craft have had those items removed now that the guild shops are in place. This frees up adding new items to those NPCs in the future. UPDATE Tier 3 crystals have been removed from !shop 5 to prevent confusion as there is no actual use for them yet. UPDATE San d’Orian Mission 6-2 (Ranperre’s Final Rest) no longer requires a “JP Midnight” wait for the book turn in, simply change zones and return to the gate guard to progress the story. UPDATE Novennial Hose and Novennial Thigh Boots now drop from the Prime Avatars battle in Reisenjima Henge. UPDATE The respawn times of Om’yovra and Ul’yovra have been reduced and the min/max levels sync’d between the two types. BUG (hotfix, 22 April) Fix for Mordant Rime not properly applying its Aftermath effect. BUG Fix for Horde Lullaby II not being castable. BUG The Scholar ability Perpetuance now properly works with Accession. BUG The Waypoints in Eastern Adoulin now work like those in Western Adoulin. BUG Monsters in Escha Zi’Tah now have their proper MND attributes. BUG The Kupo Shield is now properly rare/ex, non vendorable, non sendable for those with #firstvanadielproblems and have multiples. UPDATE San d’Oria Mission 2-1 (The Rescue Drill) no longer requires speaking to *all** guards, only thoses that the modern wikis require speaking to (players can still talk to them all for the story/lore). UPDATE Bugard Strap/+1 can now be desynthised. UPDATE Several new NMs are now available. UPDATE Armored Chariots now have their proper skill lists. UPDATE Archaic Ramparts now have their proper doors open/closed animations and phase changes. UPDATE Several monsters now have their proper models and/or sizes. UPDATE Seaboard Vultures in Misearaux Coast no longer link, as per retail. UPDATE The Curaga Earring is now functional. UPDATE The monster abilities Bad Breath, Drain Whip, Impale, and Sweet Breath have been added and/or fixed to work properly. UPDATE Capricious Cassie now properly draws in and uses the correct skills. BUG Remove Quadav Helm drops from monsters in North Gustaberg that should not drop them. BUG Bug fix for Halver that removes the necessary step to speak to him multiple times while working on TOAU missions. BUG Added missing cutscenes for the quest “Northward”. BUG Bug fixed where players didn’t receive a message upon receiving Signet from gate guards. BUG The drop list for Aura Sculptures has been updated to drop their expected items. BUG Bug fixed in mob model sizes that could pull the incorrect sizes (fixes Tzee Xicu the Manifest from being a super tiny yagado). BUG Fix Cactrot Rapido’s family modifiers and double attack rate. All quests have been updated DSP’s new tabled format and renamed in the scripts. This touches every single quest in the game and hundreds of NPCs. We’ve been working to test and ‘walk’ each of these quests, but, I’m sure some will fall through the cracks. If you find a quest that isn’t working, please create a Bug feedback ticket and a member of the team will investigate and address it as soon as possible. I’m sure there’s something that will be borked out of this change. Updated renamer list for the Spring Break Egg Hunt event. See the details and download the list here. The Spring Break Egg Hunt event is here and it’s egg-cellent! Seek out the Event Moogles in Southern San d’Oria, Bastok Markets, and Windurst Waters to get started. Wyverns now gain a level-based ‘wyvern breath’ bonus that, at 99, is near what the Dragoon Empyrean weapon granted. This update reduces the reliance on dragoon’s completing their Empyrean weapon to be “competitive” and allows for a better growth experience. Instead of “Wyvern Breath +”, Rhongomiant now providers “Critical Hit Damage +50%”. The fTP of the Drakesbane weaponskill has been slightly increased. The following abilities have been added, updated, or fixed for Scholar. Players now have access to Perpetuance while using Light Arts. This ability allows players to extend the duration of white magic enhancing spells by 2-2.55x. The Savant’s and Arbatel Bracers provide their bonuses to this ability. Players now have access to Libra. This ability displays the current target’s enmity for the scholar’s party (does not show alliance enmity). Unlike retail, it provides the CE and VE numbers directly, not a percentage of enmity. Firestorm and Sandstorm’s durations have been fixed to match those of the other storm spells. The following ability has been added for Dancer. Players now have access to Contradance. This ability allows players to double the potency of their next Curing Waltz or allow Healing Waltz to affect all nearby party members (10’ radius). Affi now accepts the key items from the Gaes Fete Tier 3 NMs. Each of these key item turn-ins count as a completed Peacekeeper Coalition mission. These missions do not count towards the bonuses provided by the coalitions, only towards increasing your total mission count for those working to increase their rank. Gaes Fete Tier 3 NMs have a 100% chance to drop their key item when defeated. UPDATE Spawned encounters in Escha - Zi’Tah will no longer spawn directly on the player, but close nearby and immediately attack. UPDATE Azi Dahaka no longer attempts to spawn for every party member, just once per NM kill. BUG An issue was fixed in Escha - Zi’Tah where unclaimed spawned encounters would roam too far away from players, making them hard to track down after they regroup. BUG Gracile Grip/+1 now has its proper item modifiers. The April 2019 update modified several of the ranger’s abilities to have shortened recast timers and more potency. Sharpshot now provides a base +60% ranged accuracy gain instead of a flat +40 ranged accuracy (non-percentage); it now caps at a gain of 99%. Velocity Shot’s recast reduced from 300 seconds to 60 seconds. Scavenge’s recast reduced from 300 seconds to 60 seconds and no longer generates enmity on use. We skipped updating Scavenge to track and store up to 3 types of ammo–seriously, everyone should be using REMA ammo at 99. The physical defense reduction potency of Dia has been increased. The physical attack reduction potency of Bio has been increased. Dragoon’s Spirit Link now levels up the wyvern to the max of 5 levels, based on the number of merits the player has in Empathy. At this time, Spirit Link does not transfer buffs, just grants the wyvern and player “level up” bonuses. Scholar spell Adloquium is now functional and can be AOE’d by the Accession strategem. Scholar spells Animus Augeo and Animus Minuo are now functional, can be self-cast, and can be AOE’d by the Accession strategem. The following merit abilities are now main job only and have been updated. Angon’s defense down effect has been increased from -20% to -30%. Fan Dance’s enmity has been increased from +15 to +25. Saber Dance’s double attack increased from 50% decaying to 20% to 75% decaying to 30%. Tomahawk is now functional and works similar to Dragoon’s Angon–applying a defense down effect to the target of -30%. Diabolic Eye’s base melee accuracy bonus has been increased from 20 to 50. Sange’s duration increased from 60 seconds to 120 seconds. Regen V now properly adds in the bonus effects from the Regen Effect merits. To address the issue that many players would only get chocobo digging missions (and run out of digging chances) before getting a gardening mission, the Pioneer coalition missions have been restructured. Heroics: Pioneer Missions now have more variety. Instead of 4:1 digging/gardening, they are now 3:3 digging gardening. Heroics: Pioneer Missions involving Mog Gardening have had their chance of finding items increased from 70% to 90%. Players can now store up to a maximum of 6 voidstones with Voidwatch Officers over a period of 24 hours based on when the player last acquired a voidstone. Acquiring voidstones ‘clips’ it to that time as the timers are based on pickup, not a running system timer. For example, if your timer was at 19.9999 hours, you’d acquire 4 voidstones (16 hours worth) and your 4 hour timer would restart at zero; you would NOT have your timer start at 3.9999 hours to the next voidstone. UPDATE (hotfix) ZNM: The ZNM spawn locations now remain when a target is spawned–no more 5 minute waits. UPDATE ZNM: Khimaria now drops the Boneworker’s Torque instead of the Weaver’s Torque. Medusa still drops the Weaver’s Torque. UPDATE ZNM: Tinnin’s head growth/regrowth timers have been significantly shortened so it’s less likely to sit at 5, 10, 25% health forever. UPDATE ZNM: Chigre’s gained its HP drain additional effect. UPDATE Players can no longer turn in relic, mythic, or empyrean trial rewards to the Magian moogles or Oboro if they already have the reward item in their inventory. This doesn’t prevent players from DOING the trials, simply prevents the server from attempting to hand you the item and it fall to the ground. Before you start a trial, search your inventory to insure you haven’t already done it! UPDATE Updated the Signet buff to be active in the following regions: Abyssea, Abdhaljs, Adoulin, Reisenjima, and Escha. This will be removed for Abyssea zones once the custom Atma system is activated. This will be removed for the Adoulin, Reisenjima, and Escha zones once the custom Ionis system is activated and integrated into Heroics. BUG (hotfix) Addressed an issue with Carbuncle’s Meteorite doing zero damage. BUG (hotfix) Addressed an issue where Store TP would show as 0 in !stats. BUG Addressed an issue where Exalted Lumber would not properly stack to 12. BUG Addressed an issue allowing players to gain buffs from Sanction and Sigil outside of their appropriate regions. BUG Addressed an issue where the boats between Selbina and Mhaura would lead to a Downloading Data… screen. Again, this SHOULD be fixed, but they’re 2006-era slow (15-20 minutes per trip), so why? If it doesn’t work, take the Explorer Moogle teleports. BUG Addressed an issue with the Atrophy Tabard +1 having incorrect modifiers. BUG Addressed an issue with the Burred Staff/+1 missing the Magic Damage +217 modifier. BUG Additional check added to prevent TOAU’s Puppets in Peril from updating if the player isn’t on that mission. The renamer list has been updated to include new NPCs. You can download it here. We’ll be granting a login point bonus to all characters with existing accounts who created their characters on 31 March 2019 or before. This bonus will be added over the course of the next week. This month, the following items are available. Addressing feedback from community members that summoners were “overpowered” since the avatar level increase, we dug into exactly how summoner blood pacts handled damage and found out quite a bit–some good, some bad. I can’t emphasize enough that tuning classes is an art, not a science. SquareEnix is still tweaking classes in retail after almost 20 years. We likely won’t get it right the first time; however, we’ll iterate and make changes based on testing and feedback. Please be patient if something doesn’t work how you EXPECT it to work. Avatars, by design, do not have a level correction when calculating damage like player-based weaponskills do. This makes them extremely powerful against higher level mobs [source]. Avatars do not necessarily gain more physical damage by adding a great deal of attack to them as there’s a hard cap to the pDIF formula for avatars [source]. All physical blood pacts were wired up to also calculate in the magic attack bonus of the avatar. This is systemically wrong [source] and was causing physical blood pacts to receive upwards of 10-20x their attack damage and THEN have the Blood Pact damage increase added to it. As coded, all physical blood pacts are being passed in as fire damage, not the correct element for the avatar. This is causes unexpected damage results against mobs strong/weak to that element and/or on the elemental day. As coded, all blood pacts (physical and magical) compare the INT of the avatar to the mob. Most physical blood pacts rely on DEX, VIT, STR, or even CHR [source]. As coded, many of the damage type modifiers no longer exist or are spelled wrong (H2H instead of BLUNT, SLASH instead of SLASHING) causing these physical blood pacts to do less than or incorrect damage against monster families strong/weak to the type. Several blood pacts were not providing their correct additional effect. Rock Buster and Mountain Buster inflicting Bind. Megalith Throw not inflicting Slow. A couple of blood pacts were wired up as physical, but should have been elemental. Burning Strike should be fire elemental damage. Lunar Bay should be dark elemental damage. As coded, the damage multipliers and subsequent hit multipliers (for multihit blood pacts) are significantly lower than they should be [source] and [source]. As coded, the methods that handle elemental resists and damage mitigation for avatar abilities (physical and magical) completely ignores the DMG, DMGMAGIC, DMGPHYS, and the uncapped versions of those mods. This means a monster designed to take -70% magical damage would still be hit for 100% of an avatar’s magical blood pact and, the reverse, that a monster designed to take 130% physical damage would still only take 100%. Whoo! Wow. Okay, so, in that same order as above, the following updates have been applied to summoner blood pacts. Nothing to fix regarding Avatars not having a level correction and that’s, honestly, a real benefit to summoners. Having a pet that’s essentially “120+” vs. the target’s level means higher crit changes, higher rates of hit, and higher damage overall. This has been addressed by better allocating attributes to avatars throughout the leveling process. As fixed in No. 5 below, now that blood pacts are using the correct stats, having those stats increased helps. This was fixed. Yes, this will greatly reduce the damage of multi-hit physical blood pacts like Rush, but back down to reasonable levels and provide a proper growth gain for players to gear up (no more naked summoners with Nirvana; sorry). All blood pacts now have their proper element and elemental day bonuses applied. Carby gains bonuses on Lightsday and weakens on Darksday, etc. All blood pacts have been updated to use their proper attribute comparisons as stated in the source. This means that avatar blood pacts that compare INT are likely stronger against mobs with lower INT (like non-casters) and ones that compare STR are likely stronger against mobs with low STR (like casters). All blood pacts that had the wrong damage type have been fixed. Rock Buster, Mountain Buster, Megalith Throw, and Geocrush (poor Titan!) now have their proper additional effects. Burning Strike and Lunar Bay are now their proper elemental damage, not physical. Astral Flow abilities have had their base damage formula updated from 48 + (level * 8) + (dINT * 1.5) to 2048 + (level * 8) * (dINT + 1.5). The damage multipliers provided by the sources have been applied to the physical blood pacts. The methods for handling blood pact elemental resists and damage mitigations have been fixed to account for a target’s explicit damage resist or weakness modifiers. For example, arcana “weapon” type mobs have an intate family resistance to magic; slimes and oozes have an inate resistance to physical. Blood pacts now properly account for these when calculating damage. Keep this in mind when you’re fighting certain targets and using certain elements and physical vs. magical damage. We’ll be monitoring and reviewing how these changes alter the leveling curve, main job usage at various gear levels, and end-game usage of summoners. Impact matters. I can’t say that often enough. Summoners, you have Impact for a reason. It will, in some cases, DOUBLE your damage. Blood pacts against targets below your avatar’s current level will still likely be easy to cap damage on. Having along someone who can debuff the mob (or a subjob that can do it) can go a long way. Like Impact, Dia, Distract, Frazzle can go a long way for Summoners. Also, don’t forget weaponskills–Shattersoul inflicts Magic Defense Down +10, Omniscience (if a SCH is around) inflicts Magic Defense Down +100, etc. There’s plenty of weaponskills that reduce physical resistances too! A common issue we’ve seen as players gear into the higher levels of endgame is that melee weaponskills simply do not scale. This is a similar issue to retail where it’s hard, if not impossible, for melees to get enough accuracy to counteract the level corrections between players and level 145+ targets. Most players, fully geared, have around 1600 accuracy on our server. That doesn’t account for the heightened stats that our monsters have in general. With this, there’s some interesting insight as those retail numbers would probably be 400-500 higher on our server. 145 is where accuracy becomes just plain hellish. Neak (Reisenjima T3), for example, requires 1866 accuracy to cap against. Kirin? That’s 1950 accuracy. Most of this content requires everything you’ve got to just hit the mobs. It’s essentially irrelevant to bother trying to melee at this level unless you have VERY solid support. Even then, certain jobs just won’t get enough accuracy to hit this content. While “just take mages” may work on retail, that’s not in line with the goals of Nocturnal Souls nor do most melee players have an army of support classes behind them. The problem stems from how weaponskills calculate the cRatio for melee and ranged, hit rate, and pDIF. Main-hand weapon item levels are now functional. Weapons without a specified item level defaults to the level of the player. Monster targets are now capped at level 150 for cRatio and Hit Rate calculations, even if their actual level is higher. For melee players, this gain, assuming they’re already in the 1500-1600 accuracy range, should put them back in the 95-99% hit rate cap for their weapon types and greatly reduced the crit and damage reduction in their weapon skill attacks. Monster defense, evasion, and passive damage resistances still apply. Magic-based weaponskill, such as Uriel Blade, Aeolian Edge, Herculean Slash, and Leaden Salute are unaffected by this change as they do not have a level correction on them, similar to magic in general, and work based on stacking Magic Attack Bonus. In addition, Atonement is unaffected by this change as it’s breath damage. For many classes, this reopens Mythics as very appealing weapons and not just a stepping stone to Empyrean weapons. BUG (hotfix) An update applied to the Hieroglyphics for Dreamworld Dynamis zones to re-enable players to enter them without having the required COP missions. UPDATE Odin in Reisenjima Henge will now drop Carbuncle’s Ruby used to spawn the Carbuncle/Fenrir encounter. UPDATE The following abilities used by Tchakka, Bismarck, and similar monsters have been updated. In general, the death effects of all of these abilities can now be more easily avoided by moving out of range, stunning it (with the longer casting times), or not standing in front of the monster. Thar She Blows - changed from a 2y pointblank AOE to a 2y conal breath as per retail. Casting time remains 8 seconds. Tidal Guillotine - changed from 1 second cast to 8 second cast. Updated to only apply KO effect if player is below 50% health, else it is a heavy hitting physical attack. Marine Mayhem - changed from 18y pointblank AOE to 2y pointblank AOE and casting time updated from 1 second to 8 seconds. UPDATE Ryo will now teleport players to the ZNMs if you trade her the lure (don’t worry, she won’t keep it). Thanks to Webjester for the idea and gist! UPDATE Korroloka Tunnel has been added to !gotoexp in the for solo/duo 82-92 leveling range. UPDATE Ifrit and Leviathan avatars are now immune to the Amnesia status effect per BG Wiki. UPDATE Bugard Strap/+1 desynth recipes have been added. BUG A fix was applied to Cataclysm and Tartarus Torpor that could cause the weaponskills to do no damage. BUG Poisonaga V has been updated to properly apply its poison effect to players. BUG Fixed Vulpangue’s fire absorb trait based on the Vana’diel day. BUG The Ergon Locus in La Theine Plateau has been updated to remove the ‘?? ?’ from the name so scripts fire properly. BUG Monster abilities that steal status effects have been fixed. This includes Binary Tap, Trinary Tap, Heliovoid, Osmosis, Spirit Tap, and Voracious Trunk. Looking for previous update notes? Check out the archived update notes in the navigation bar.